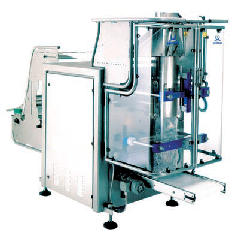 Packing uncountable products like coffee or sugar into bags is done by vertical packing machines. Those machine are like flow pack machines but fill-up is done with gravity. Therefore scales are used. Servos feed the film and work with register mark if any.